Thromboembolic events are among the major causes of mortality and morbidity.1 To decrease the incidence of such events, physicians prescribe one or more antithrombotic medications for patients at risk. These medications include antiplatelet agents, fibrinolytic drugs and anticoagulants.1 Patients taking antithrombotic agents occasionally require minor oral surgery. In this article, we offer dentists guidelines for managing such patients. Antiplatelet drugs, which decrease the aggregation of platelets and prevent thrombus formation, are used to treat or prevent thrombotic cardiovascular or cerebrovascular diseases.1 The most common antiplatelet medications are the cyclooxygenase inhibitors (e.g., ASA) and the adenosine diphosphate (ADP) receptor inhibitors (e.g., clopidogrel). Although antiplatelet drugs can double bleeding time, this time may remain within or just above the normal limit2 and, thus, have no clinical significance. Studies have shown that clopidogrel does not predispose a patient to excessive bleeding intra- or postoperatively.11 On that basis, we suggest that these medications not be discontinued before a minor oral surgical procedure. Most authors agree that there is no need to stop or alter anticoagulant treatment for minor oral surgery procedures when INR levels are below 4,16,18 as hemostasis can be achieved with the use of proper local measures.18 However, if the patient's INR is not in the therapeutic range, the dentist should bring this matter to the attention of the patient's physician for possible adjustment and clearance before attempting any treatment. For minor oral surgery procedures, there is usually no need to stop or alter anticoagulation or antiplatelet therapy. Dentists should be aware of their patients' medical condition and have the knowledge and means to provide optimal care. Dr. Al-Harkan is a staff member in the department of oral and maxillofacial surgery, Farwaniya Hospital, Kuwait. Dr. Al-Ayoub is a staff member in the department of general dentistry, Ministry of Health, Kuwait. Correspondence to: Dr. Abdullah M. Al-Harkan, Department of oral and maxillofacial surgery, Surgery clinic #4, Farwaniya Hospital, Farwaniya, Kuwait. Email: al-harkan@hotmail.com. Sikka P, Bindra VK. Newer antithrombotic drugs. Indian J Crit Care Med. 2010;14(4):188-95. Schafer AI. Effects of nonsteroidal antiinflammatory drugs on platelet function and systemic hemostasis. J Clin Pharmacol. 1995;35:209-19. Born G, Patrono C. Antiplatelet drugs. Br J Pharmacol. 2006;147 Suppl 1:S241-51. Ardekian L, Gasper R, Peled M, Brener B, Laufer D. Does low-dose aspirin therapy complicate oral surgical procedures? J Am Dent Assoc. 2000;131(3):331-5. Krishnan B, Shenoy NA, Alexander M. Exodontia and antiplatelet therapy. Oral Maxillofac Surg. 2008;66(10):2063-6. Brennan MT, Valerin MA, Noll JL, Napeñas JJ, Kent ML, Fox PC, Sasser HC, Lockhart PB. Aspirin use and post-operative bleeding from dental extractions. J Dent Res. 2008;87(8):740-4. Jeske AH, Suchko GD; ADA Council on Scientific Affairs and Division of Science; Journal of the American Dental Association. Lack of a scientific basis for routine discontinuation of oral anticoagulation therapy before dental treatment. J Am Dent Assoc. 2003;134(11):1492-7. Ueno M, Kodali M, Tello-Montoliu A, Angiolillo DJ. Role of platelets and antiplatelet therapy in cardiovascular disease. J Atheroscler Thromb. 2011;18(6):431-42. Epub 2011 Mar 18. Wynn RL, Bergman SA. 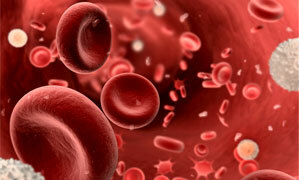 Drugs and herbal remedies that affect blood clotting. Gen Dent. 2002;50(6):484-8, 490. Campbell-Scherer DL, Green LA. ACC/AHA guideline update for the management of ST-segment elevation myocardial infarction. Am Fam Physician. 2009;79(12):1080-6. Little JW, Miller CS, Henry RG, McIntosh BA. Antithrombotic agents: implications in dentistry. Oral Surg Oral Med Oral Pathol Oral Radiol Endod. 2002;93(5):544-51. Fischer LM, Schlienger RG, Matter CM, Jick H, Meier CR. Current use of nonsteroidal antiinflammatory drugs and the risk of acute myocardial infarction. Pharmacotherapy. 2005;25(4):503-10. Fareed J, Adiguzel C, Thethi I. Differentiation of parenteral anticoagulants in the prevention and treatment of venous thromboembolism. Thromb J. 2011;9(1):5. Blann AD, Khoo CW. The prevention and treatment of venous thromboembolism with LMWHs and new anticoagulants. Vasc Health Risk Manag. 2009;5:693-704. Epub 2009 Aug 20. Hong CH, Napeñas JJ, Brennan MT, Furney SL, Lockhart PB. Frequency of bleeding following invasive dental procedures in patients on low-molecular-weight heparin therapy. J Oral Maxillofac Surg. 2010;68(5):975-9. Epub 2010 Feb 9. Ansell J, Hirsh J, Poller L, Bussey H, Jacobson A, Hylek E. The pharmacology and management of the vitamin K antagonists: the Seventh ACCP Conference on Antithrombotic and Thrombolytic Therapy. Chest. 2004;126(3 Suppl);204-233S. Jiménez Y, Poveda R, Gavaldá C, Margaix M, Sarrión G. An update on the management of anticoagulated patients programmed for dental extractions and surgery. Med Oral Patol Oral Cir Bucal. 2008;13(3):E176-9. Pototski M, Amenábar J. Dental management of patients receiving anticoagulation or antiplatelet treatment. J Oral Sci. 2007;49(4):253-8.